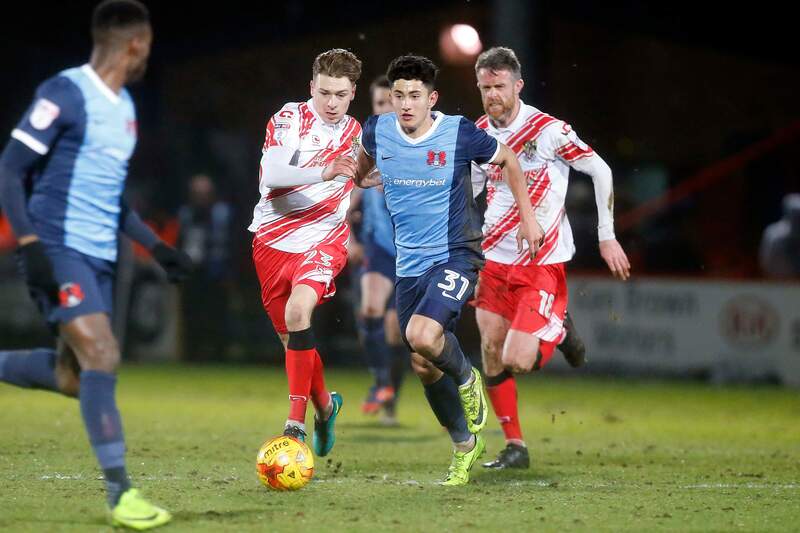 Leyton Orient slipped into even more trouble on the road as they went down 4-1 at Stevenage Borough as they were taken apart by the Hertfordshire outfit. The O’s could have climbed out of the relegation zone in League 2 with a win at play-off chasing Stevenage – that’s if Hartlepool lose at home to Crewe. Instead everything that could have gone wrong for Orient did go wrong as they now languish a full six points behind Hartlepool. As another poor display saw Orient severely walloped, their relegation rivals Hartlepool were in demolition mode, destroying Crewe Alexandra four nil to put a six point barrier between themselves and the O’s. Probably just as importantly they were reducing their goal difference from -19 to -15 while Orient’s own goal difference which started the day at -16 worsened to -19 with another dour display and thrashing. To make matters still worse for the East Londoner’s, their other rivals around the foot of the table were all picking up points. Bottom placed Newport didn’t play but Cheltenham Town and Notts County both won their respective matches each by a goal to nil to move them 8 and 9 points respectively ahead of Orient. It has to be remembered that in the last two weeks both these rivals have taken 3 points off the O’s so those recent two Orient results are now beginning to look very painful. Yeovil and Accrington Stanley also picked up a point each to condemn O’s fans to tears. It was a Shrove Tuesday nightmare and Orient were made to look like pancakes as Stevenage were on fire attacking with more precision than a black and decker drill. 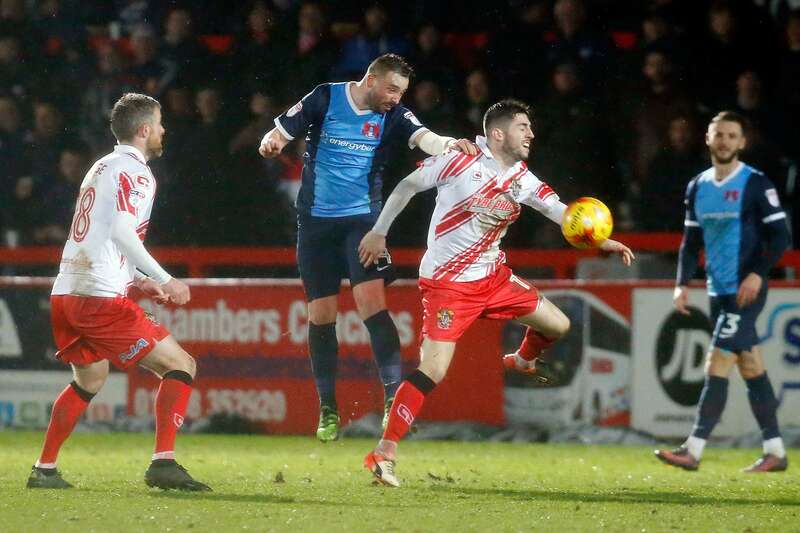 Stevenage moved up two places with this victory and now sit in a promotion play off spot and they produced a professional display to beat a disconsolate Leyton Orient at a wet Broadhall Way. The hosts dominated the opening exchanges and it was no surprise when an unmarked Ben Kennedy headed home Jobi McAnuff’s cross in the 18th minute. Four minutes later, the lead was doubled when Nicky Hunt dragged Luke Wilkinson down in the area and Matt Godden smashed the penalty into the top corner. Orient responded almost instantly though when Paul McCallum headed Michael Collins’ expert free kick into the corner to give them a glimmer of light. Still Danny Webb’s team pushed for an equaliser but it remained 2-1 at the break – although not for long. Stevenage needed only three second-half minutes to extend their advantage when Wilkinson headed in McAnuff’s cross and Orient’s glimmer of light was flicked off in an instant. Tom Pett made it 4-1 just past the hour mark after good play on the left despite O’s keeper Sam Sargeant getting a hand to his shot. Although Orient pushed for a consolation, it was comfortable for Stevenage, who moved up to that all important 7th position in the table. The home team had 55% of possession and managed 16 shots while Orient could muster just the 9. So slim pickings at the bottom of the table and Leyton Orient’s hopes of avoiding relegation have taken a real beating at the hands of Stevenage. To say that Orient’s chances of survival now look bleak is like saying the ‘Universe Is Big’.